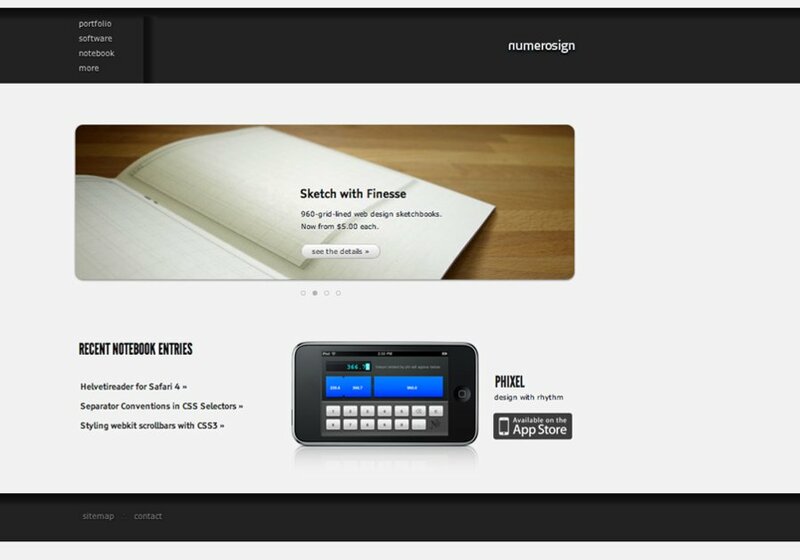 Numerosign is a small, sustainability-minded web design and consulting studio run mostly by Daniel Eckhart and located near the Mississippi Arts District in Portland, Or. Web standards pioneer Jeffery Zeldman said, "too few designers are working in that vast middle ground between eye candy and usability where most of the web must be built." Numerosign aims to fill that gap. We take a stand for web standards because we believe they’re the only way to build a compatible, accessible and future-proof web. That’s why we don’t use Flash. That’s why we ensure each site we build is based on clean, semantic HTML. That’s why we keep browser hacks to the barest minimum; because hamstringing the future for the sake of the past just makes no sense. We believe that good design comes from clear thinking. It requires taking the time to clearly think out the way that purpose, intent, form, and function combine to create great user experiences. We offer design services that include UI design, web design, and software development. We’re committed to making the web a better, more beautiful place. We make artists, writers, and small businesses look great online.